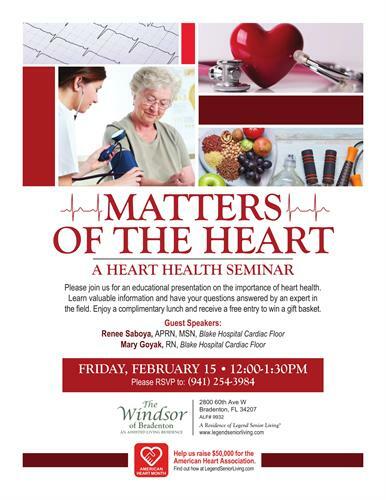 Please join us for an educational presentation on the importance of heart health. Learn valuable information and have your questions answered by an expert in the field. Enjoy a complimentary lunch and receive a free entry to win a gift basket. Please RSVP to 941-752-1990. Seating is limited.